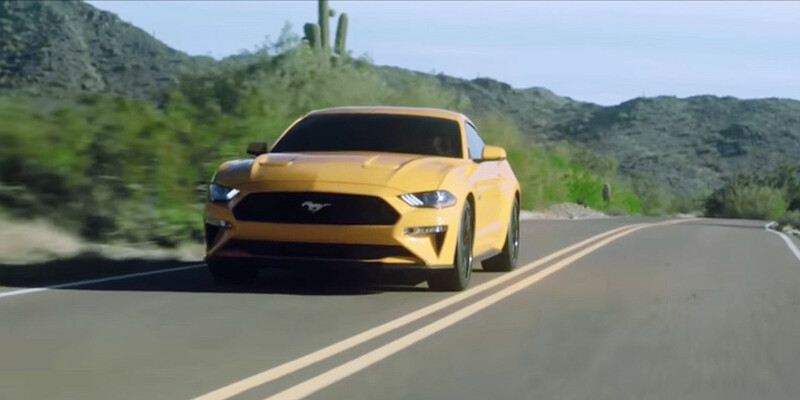 While Ford still hasn’t divulged any mechanical details relating to the refreshed, 2018 Ford Mustang, we do at least know now what the facelifted pony car will look like, thanks to a leaked video containing driving shots of the new(ish) Mustang GT in action. Embedded above, the leaked video contains plenty of clear shots that show off the 2018 Mustang GT’s new, angular face. A center crease that starts at the top of the upper grille and vanishes into the hood is now present, while most of the car’s existing folds look as though they’ve been sharpened and exaggerated some. The lower grille and inlets have changed shape entirely, and the triple-line graphics in the headlamps seem to have shrunk. Out back, what appears to be a new, body-colored wing sits atop the decklid, and a quartet of exhaust tips are visible. 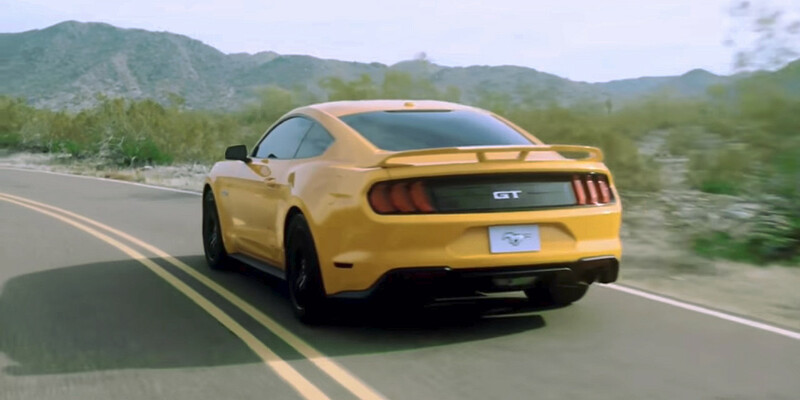 According to website Motor1, this particular 2018 Ford Mustang is wearing a new paint shade called “Orange Fury,” although we’d put it somewhere between orange and yellow. Stay tuned for more as it develops; we hear the 2018 Ford Mustang will be receiving the F-150’s dual-injection 5.0L V8 and 10-speed automatic transmission. I am a Ford lover but the lthe love of god wtf is that!!?? I didn’t think it could get worse than the 15,16, but it did! It looks NOTHING like a mustang, your going off course! Nothing captures the beauty,lines ,style more than the 11-14 mustangs !! The absolute best looking, hands down!!! HIDEOUS is the word i’d use to describe this car, looks like Challenger SRT Demon and New Camaro will be my new objects of desire. Way to go Ford, the Mustang is finally dead! The 2005-2009 was like the 1965-1970 era, 2010-2013 was like the 1971-74 mustang era, the 2014-to present is the Mustang II era, so the 2018 just needs to drop the retro and come out with a modern day Fox body, sub 3000lbs on the Focus chassis with optional V6 ecoboost and after a year release the 5.0 flat plan crank.